Picture it: Morning Kriyas on empty Saline beach, snacking on mangoes in a private villa, and a personal concierge team to arrange it all. 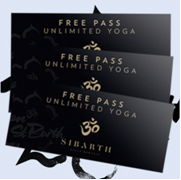 Sibarth, the original St. Barth villa rental company, is offering complimentary passes to the St. Barth Summer Camp Yoga Challenge from July 15-August 18, led by yoga instructor and wellness coach Diana Bourel, who has created programs and yoga retreats for some of the world’s leading luxury hotels and spa properties including Chiva-Som and Kamaata in Thailand. Guests staying in select villas during this time will enjoy a peaceful island vacation coupled with daily yoga classes on a personalized schedule. Guests arrive to a health and wellness basket packed with fresh produce, health foods, and refreshing drinks. 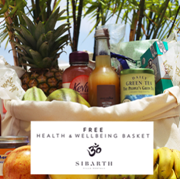 Sibarth’s personal concierge team is also on hand to arrange yoga schedules, deliver organic foods from local shops, or arrange a spa treatment. To book, visit www.sibarth.com or call 888 610 1060.